I shared with you #bakingday Part 1. And here is part 2 and 3. I spent several hours on Saturday whipping up all sorts of stuff in the kitchen! 1. 4 Holiday Recipes – which I PROMISE to share in plenty of time for the holidays! 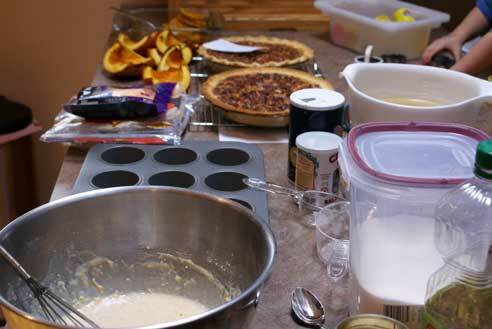 Yes, including the pies pictured. 3. 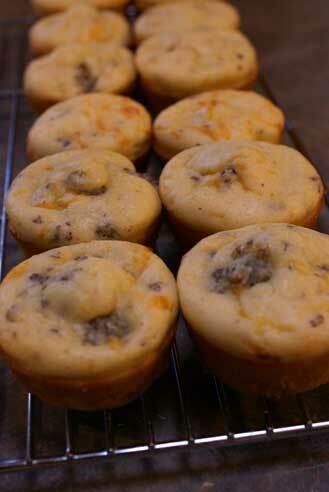 Breakfast muffins…Cheesy Sausage Breakfast Muffins! And then there was this. I didn’t have the heart to ask the Hubs to help with these. Because he was outside raking leaves (we have 48 trees on our property!) the entire time I was in the kitchen. 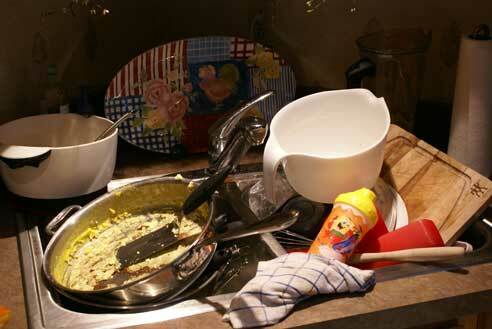 I typically “do the dishes as I go,” but I just had too many things going on at once, I couldn’t keep up! The list for today was a bit shorter. And with that. I’m done. Freezer couldn’t be any more full than it is. I’m going to sit on the couch for the next 2 weeks. Well, not really. WOW! Great job! You go! Now I need to get motivated to do some freezer cooking. My son has a severe milk allergy. Cooking ahead of times really helps on so many levels. How do you freeze the breakfast burritos? And how do you thaw them? Sounds like a quick morning breakfast! 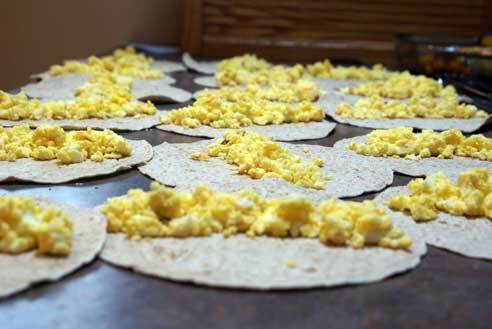 Just roll them up and freeze them. I defrost them in the microwave if I forget to put them in the fridge the night before. 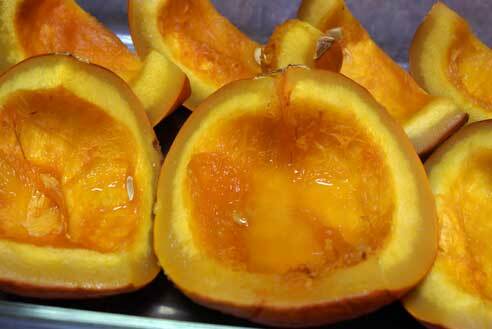 Then I heat them for another 30 sec – 1 min. Okay, I’m freezing stupid so forgive me if this sounds like a ridiculous question, but…Do you wrap them in saran wrap, aluminum foil, or something else before popping them in the freezer? And then do you cook them for 30 sec-1min in the microwave? Oh, and when you cook them, do you unwrap them first? I just put them into freezer baggies as they are. No foil or saran wrap. Take them out of the baggies, defrost, then warm/cook. like the breakfast burritos and freezing them is a plus! I love the huge counter space you have. Wow you really got a lot done. Today I didn’t get much done with a clingy baby. Wow, that looks delish! Ton of energy! I wish I was there I really would have washed your dishes! Thanks for the breakfast burrito idea, my MIL out of nowhere decided to pick me up an 18 pack of eggs the very same day as I bought one, I’ve been scrambling to use them all up before expiration but have been worried I wasn’t goign to get through them. Just last week I was able to pick up some markdown sausage for .25 a package because it was close to the expiration. I’m doing a delayed baking day, starting tomorrow so Im adding these to my list. Thanks! I love the burrito idea! The kids would love it in the morning. I will have to make those very very soon. Just curious, do you have a separate deep freezer, or are you just able to get all of this into your freezer? I’m so intrigued by once a month cooking, but I have no idea how I would fit it all into my freezer! When I read this I thought about those breakfast burritos all day long. Yum. Last night I had breakfast for dinner on the menu, only it was pancakes (so I’d have leftovers for the kids breakfast today). But I ended up making breakfast burritos (with leftovers for the kids breakfast today) and they were a huge hit. My 9 year old son said “these are better than the ones at McDonalds mom.” With him if it’s better than McDs then it is pretty good. They even warmed up well this morning and he went to school full and happy. Thanks for the idea. You’re welcome! And of course they’re better than McDs!!! And healthier too! With all of the pre-cooking/freezing that you’ve done in anticipation of Baby T’s arrival, I think you deserve to sit on the couch for the next two weeks! 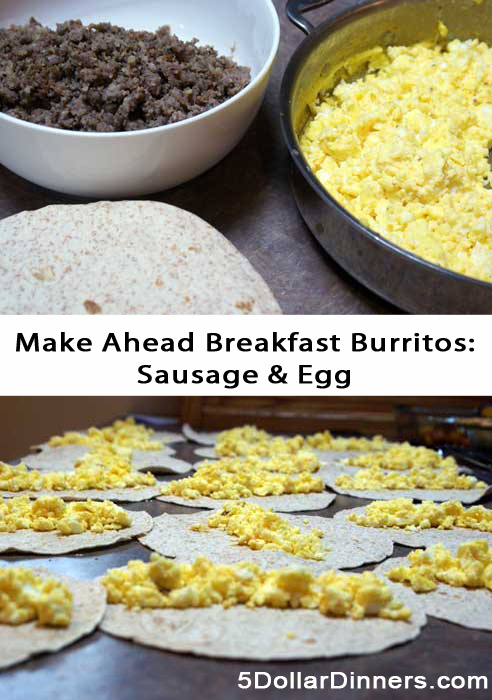 I like the breakfast burrito idea – will have to try it out. Since I don’t leave myself enough time in the mornings to sit down for breakfast (would rather sleep! ), it has to be something I can eat in the car on the way to work – this would fit the bill, and be healthy, too.